Come practice your marksmanship! Cub Scouts will choose between BB Guns, Archery or (NEW this year) Slingshot, and dedicate their half-day session to practicing that skill. For all Troops and Crews! Scouts will be broken up into groups to rotate through each station (Archery, Rifle, Shotgun, Tomohawk and a Safety/Merit Badge session) on Saturday and Sunday. Saturday evening crackerbarrel and program (Movie) included. This is a great camp for Scout Troops looking for a great camping weekend. Participants must sign-up, attend and camp by Troop/Crew, with at least two registered adults per unit in camp at all times. This camp is limited to 144 Scouts. Sign up early! Open to ALL Packs, Troops, Crews and Ships. 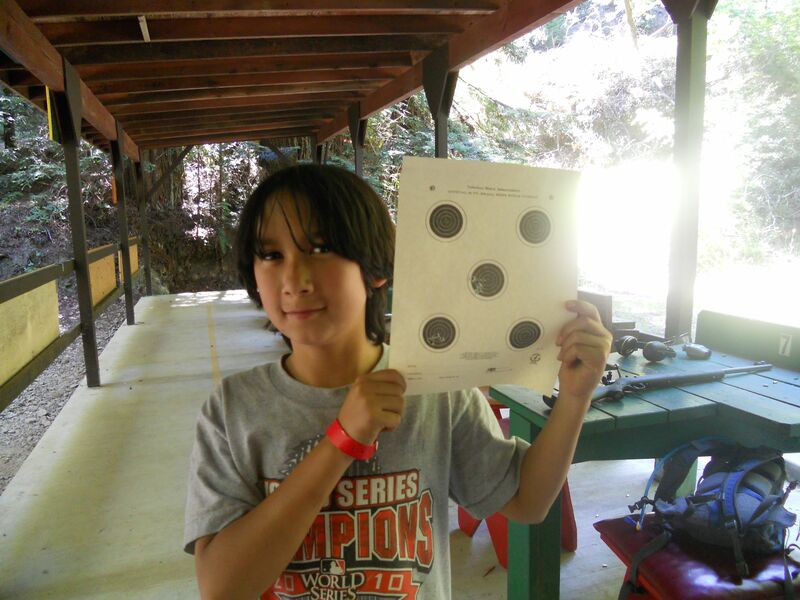 Come practice your marksmanship in the Redwoods at Camp Royaneh! Saturday lunch will be provided for all participants. Adult supervision must be maintained for all Scouts. Cub Scouts will choose between BB Guns or Archery and dedicate their half-day session to practicing that skill. 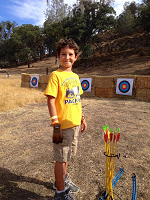 (Cubs wanting to do both Archery and BB Gun must sign up for two sessions. One in the morning and one in the afternoon.) Parents/Partners must remain in camp with their Cub Scout for the duration of the event. Adults will not be shooting. Cost is only $35 per session for Cub Scout and one parent/partner. Additional partner may attend for $10. This is an individual sign-up activity for Cub Scouts. Scouts BSA and Venturing Scouts will have the opportunity to shoot Archery, Rifle and Shotgun throughout the day on their own schedule. Overnight Camping available on Friday and/or Saturday night for Units participating in the event at no extra cost. All camping Units must be attending with Unit Supervision or Parent Supervision. Please note, only Saturday lunch will be provided as part of event. Those camping must provide all other meals. The Royaneh camp platform tents will already be taken down by October so campers must provide their own tents. Please submit a Camp Royaneh Short Term camping Reservation form to the Council Camping department 510-577-9218 to sign up for camping and indicate that all campers are participating in the event. Morning Session: Check-in at 8:30 AM. Shooting from 9:00 AM - 12:00 PM. Check in at 8:30 AM. Ranges open from 9:00-12:00 and 1:00 PM to 4:00 PM. Lunch from 12:00-1:00. Interested in SFBAC Shooting Sports? Are you an NRA trained Range Safety Officer or Instructor and want to help operate our Shooting ranges during Scouting events? Rangemasters and volunteers are always needed and welcome for all our Shooting Sports activities. Volunteers interested in helping at any of the above events and/or becoming a Shooting Sports Committee member should contact Michelle Behrendt to be added to the mailing list. When helping at Shooting Sports activities, some positions require Shooting Sports certifications, including Archery, Rifle, Shotgun, Blackpowder and Pistol (only at Venturing activities). BB Gun range, tomohawk require basic safety knowledge and orientation. Support staff (kitchen, registration, etc.) does not require certification.